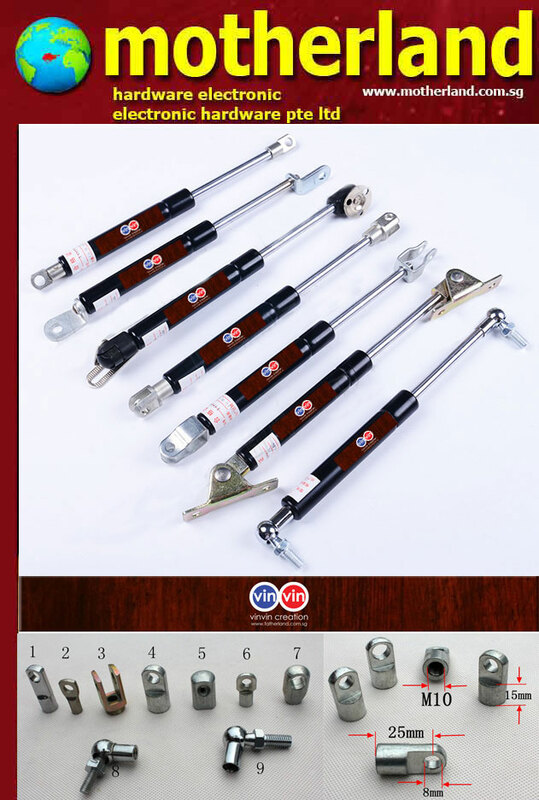 【Introduction】: This product is a set of mechanics from the principle of manufacturing affordable and simple and convenient to use beautiful vinvin gas spring is a type of spring that, unlike a typical metal spring, uses a compressed gas, contained in a cylinder and compressed by a piston, to exert a force. Common applications include automobiles (where they are incorporated into the design of struts that support the weight of hatchback doors while they are open) and office chairs. vinvin gas spring are also used in furniture, medical and aerospace applications. Much larger gas springs are found in machines that are used in industrial manufacturing (the press tooling industry), where the forces they are required to exert often range from 2500N to 400,000N (Forty tonnes). To properly use gas springs in even the simplest application, users should understand how they work and how a gas spring can be modified to meet specific operating requirements.